Rehan and Sandeep continued to dominate and set new National Records in the 400m Freestyle and 200m Breaststroke respectively. Sandeep narrowly missed the Olympic qualifying mark and I hope somebody would take into account that he practically had to swim the whole race alone with the next swimmer finishing the race a little over 12 seconds later. This was probably the biggest ever margin of victory in a 200m event at any Senior Nationals. It would be terribly unfair if he misses the plane to Beijing because of this. 400m Freestyle (Men): Rehan Poncha won the event with a new National Record of 4:04.49. This was Rehan’s third win with a National Record in as many days. Rohit Havaldar came in second with a time of 4:09.92 and Arun Kumar came in third with a time of 4:15.29. The Olympic qualifying time for this event is 3:58.10. 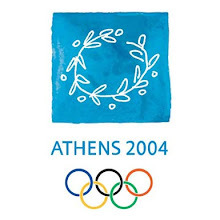 400m Freestyle (Women): Kshipra Mahajan won the gold with a time of 4:40.40. Teammate Pooja Alva came in second with a time of 4:42.10 and Aarti Ghorpade came in third with a time of 4:44.61. The National Record stands in the name of Nisha Millet with a time of 4:29.72 set in 1999. 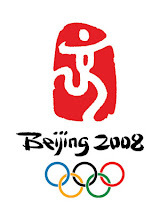 The Olympic qualifying time for this event is 4:20.50. 200m Breaststroke (Men): Sandeep Sejwal made it a double, after winning the 100m Breaststroke on day 1, and got closer to the Olympic qualifying mark by winning the event with a new National Record time of 2:19.51. I am sure that he would have got the qualifying time had he had someone to push him for even a part of the race. S P Lenka came in second with a time of 2:31.63 and V Abhishek came in third with a time of 2:33.92. The Olympic qualifying time for this event is 2:18.37. 200m Breaststroke (Women): Tejasvini V also made it a double by winning with the event with a time of 2:50.62. Prerna Jain came in second with a time of 2:52.92 and M S Divya came in third with a time of 2:54.03. The National record stands in the name of Sajini Shetty with a time of 2:46.39 set in 1997. The Olympic qualifying time for this event is 2:33.40. 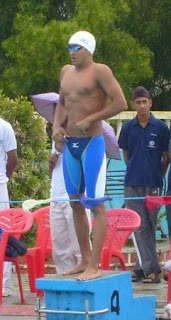 100m Butterfly (Men): Arjun Muralidharan went on to win with a time of 56.19. Akbar Ali Mir came in second with a time of 58.81 and D Siddanth came in third with a time of 58.93. The National record stands in the name of Ankur Poseria with a time of 55.00 set at the USA Swimming National Championships in July this year. Arjun’s personal best is 56.16 clocked at the 2006 Doha Asian Games. The Olympic qualifying time for this event is 54.71. 100m Butterfly (Women): With the National record holder, Richa Mishra, not choosing this event among her five it made it easy for Pooja Alva to win with a time of 1:05.86. In what seems to have been a closely contested race, Lekha Kamath came in second with a time of 1:06.06 and Shubha C came in third with a time of 1:06.66. The National record stands in the name of Richa Mishra with a time of 1:04.45 set at the Asian Age-Group Swimming Competition held last month. The Olympic qualifying time for this event is 1:01.43.